...or as if lawmakers are being pressured to vote a certain way in order to preserve their own budgets. I think there’s more going on than just that. Every step in this process from the beginning until now, has essentially gone Ulster County’s way. The county has steamrolled over the railroad, save for a few bumps in the road, and won every battle. Court decisions, legislative votes, agreements made with nyc dep, the STB case the U&D brought up, even money given to them by the governor a few years back. EVERYTHING has gone Mike Heins way. And THAT makes me believe there is more going on behind the scenes than we know. Something else to consider, is how Ulster County has acted in this process. Every move they have made is as if they already won. When the U&D brought the case before the STB the county dismissed it as nothing, and continued rail removal work. And even though the county didn’t have all their “ducks in a row” they still won. Look closely at every move ulster county has made since this began and more than just arrogance is this idea that from the moment the trail was proposed it was already a guaranteed victory and THAT is how the county has moved along in this process. I realize now that right from the beginning the railroad stood no chance. The fact that the railroad still exists is only because of a public revolt and even then they exist only under Mike Heins terms. I really hope that somehow a miracle occurs for the CMRR, I really like what there doing, but the deck has been stacked against them right from the start. I don't understand why the taxpayers & residents & businesses of Ulster County put up with this. Mike Hein can't be the "Don" of Ulster County forever. Unfortunately in the meantime, everyone else has to wait. Earl Pardini, Bryan Van Kirk, Sam Cogan and otherslaid out ties for the upcoming tie week. Sam Cogan weed-wacked from C9 to Hurley Mountain Road. Our Catskill Fall Flyer ran in Kingston. 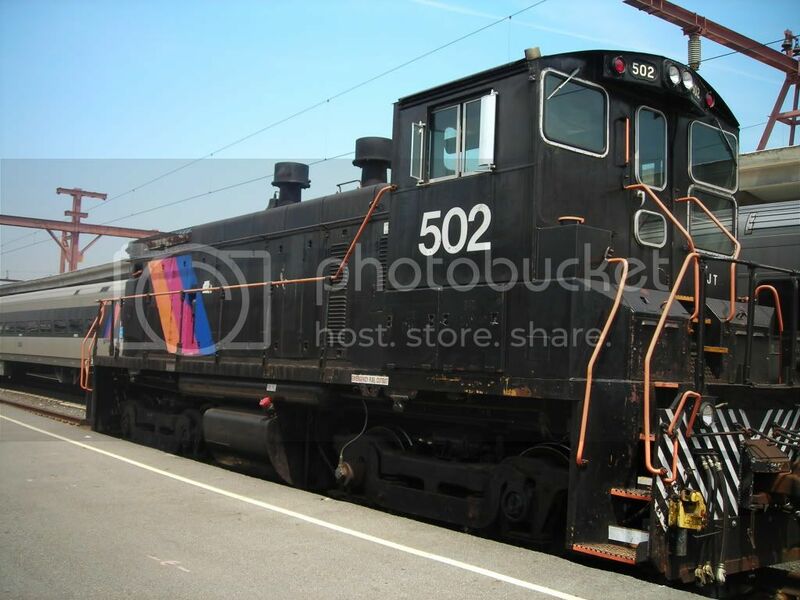 EarlPardini was Engineer; Art Vogel was Engineer Trainee, Karl Wick wasConductor; Ed Winstanley was brakeman; John Marino was trainman; Peter Fluchere and Russell Hallock were flaggers; Dylan Iurato was flaggertrainee. Marcia Roosa and Pat Smalley were ticket agents. Neil Isabelle assisted. Bryan Van Kirk was engineer; Karl Wick was engineertrainee; Tony Bocchino was conductor; Neil Isabelle was brakeman; Bill Kaba was brakeman trainee; Jess Puccio and Ken Harris were flagmen. Marcia Roosa, Peter Fluchere and Pat Smalley were ticket agents. Ryan Lennox assisted. Bryan Van Kirk was engineer; Karl Wick was engineertrainee; Tony Bocchino was conductor; Neil Isabelle was brakeman; Bill Kaba was Brakeman Trainee, Peter Fluchere, Greg Peck and Ken Harris were flagmen. Marcia Roosa and Pat Smalley were ticket agents. Ryan Lennox and Sam Cogan assisted. Earl Pardini, Bryan Van Kirk, Sam Cogan inserted ties at MP 6.6 and 4.35 and laid out ties for the upcoming tie week. The CMRR ran a dress rehearsal train for "Rails of Terror. Earl Pardini was engineer, Bryan Van Kirk was conductor and Art Vogel was brakeman. Russ Hallock was flagger. The CMRR ran its first "RAILS OF TERROR" trains Friday evening. Train crew was Earl Pardini, engineer, Tony Bocchino, Conductor, and Art Vogel, brakeman. Karl Wick and Russ Hallock were flaggers. Bryan Van Kirk assisted. Marcia Roosa and Pat Smalley were ticket agents. Our Catskill Fall Flyer ran in Kingston. John Marino was Engineer; Tony Bocchino was Conductor; Karl Wick was brakeman; Earl Pardini and newcomer Dan Adler were flaggers. Marcia Roosa and Pat Smalley were ticket agents. Ernie Klopping and Martin Elbrecht worked on the 2911's generator. In the evening we ran our new "RAILS OF TERROR" train. Bryan Van Kirk was engineer, Tony Bocchino was conductor, Karl Wick was brakeman, Russ Hallock, Joe Wolff and Dan Adler were flaggers. Marcia Roosa and Pat Smalley were ticket agents. Tom Whyte was engineer; Tony Bocchino was conductor; John Marino was brakeman; Ken Harris, Steve Stanton and Dan Adler were flagmen. Marcia Roosa and Pat Smalley were ticket agents. In the morning, John Marino and Bryan Van Kirk replaced a joint bar and installed a tie. Bryan Van Kirk was engineer; Tony Bocchino was conductor; Walt Otto was brakeman; Fred Ehren and Sam Cogan were flaggers. Earl Pardini assisted. In the Delaware & Ulster thread Chris Bigham just posted a photo you took back in 2013 showing the removed Big Indian Bridge @ C41 with your comments at the time asking the county not to cut up the girder spans but didn't hear anything at the time of posting. It may be old news, but, did you ever hear back from them for those of us who don't know? RAILROADS: AMERICA'S MOST IMPORTANT TOOL FOR ENERGY CONSERVATION. REMIND YOUR POLITICIANS HOW YOU WANT YOUR TAX DOLLARS SPENT. I believe even to dispose of it as scrap the county's required to put it out for bid. Most NYS counties are using Auctions International for that. Have someone fly a drone over the facility if they won't let you in. What type of bridge was it? Truss? ^ No. It was a through plate girder, two spans. Earl Pardini, Bryan Van Kirk, Sam Cogan did maintenance work on the brake systems in the train. The CMRR ran first "RAILS OF TERROR" trains Friday evening. Train crew was Bryan Van Kirk, engineer, Tony Bocchino, Conductor, and Art Vogel, brakeman. Ken Harris, Sam Cogan and Russ Hallock were flaggers. Pat Smalley and Ernie Klopping were ticket agents. Our Pumpkin Express ran on October 20th. Earl Pardini was Engineer; Tony Bocchino was Conductor; John Marino was brakeman; Joe Wolff and Sam Cogan were were flaggers. Marcia Roosa and Pat Smalley were ticket agents. There were 682 riders. Ernie Klopping and Martin Elbrecht worked on the 2911 generator. In the evening, the CMRR ran its Rails of Terror. Bryan Van Kirk was Engineer, Karl Wick was conductor, Art Vogel was brakeman. Flaggers were Russ Hallock, Tony Bocchino, and Joe Wolff. Pat Smalley and Marcia Roosa were ticket agents. There were 340 riders. Our Pumpkin Express ran again on October 21st. John Marino was Engineer; Tony Bocchino was Conductor; Karl Wick was brakeman; Sam Cogan and Ken Harris were flaggers. Dylan Iurato was flagman trainee. Marcia Roosa and Pat Smalley were ticket agents. Overall we had about 1800 riders this weekend. The Rails of Terror was a big success as well! This is disgraceful! Is the county completely unstoppable?